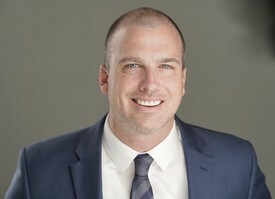 Dr. Buxton graduated with his bachelors degree from the University of Utah and received his doctorate degree from the Temple University School of Dentistry in Philadelphia, Pennsylvania. Dr. Buxton is highly involved in furthering his knowledge and skills in an effort to provide the highest quality of care to his patients. He has invested in the latest technologies to improve the patient experience. He is very involved with implant dentistry and has been instructed and mentored by some of the most accomplished implant dentists in the world. He has been doing same day CEREC crowns for over 10 years and served as a clinical mentor for CEREC same day crown technology at the Scottsdale Center for Dentistry. He has received specialized training in the treatment of TMJ and migraine headaches. Dr. Buxton also has been trained extensively in the treatment of obstructive sleep apnea. Dr. Buxton lives in Salt Lake City, Utah. He is married and has 3 young children. Dr. Buxton is fluent in Spanish. He enjoys exercise, running, skiing, reading and being with his family. Dr. Christensen received his dental training at University of the Pacific in San Francisco. He is a member of the American Dental Association, Utah Dental Association, Salt Lake Dental District Dental Society, International College of Dentists, American College of Dentists and Academy of Operative Dentistry. He is Biolase certified. 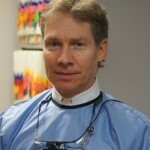 Dr. Christensen is professionally involved, particularly with professional dental education, regulation and testing. He has served as editor for the Utah Dental Association and as a member of the state board for dentistry in Utah. He has served as a member of the National Commission on Dental Accreditation, as a member of the Joint Commission on National Dental Examinations, and as a member, committee chair, officer and president of the American Association of Dental Boards. He has served as a member, committee chair, officer, examiner, test-constructor and administrator for Western Regional Examining Board, a national testing agency that administers clinical examinations to dentists and dental hygienists in partial fulfillment of their licensing requirements in Utah and the majority of the United States. Dr. Christensen continues to serve on various regional and national dentistry related committees and participates on several task force projects. Dr. Christensen is engaged in continuing professional education. He frequently introduces new materials and technologies into this practice. He is a member of the Great Basin Academy, Spear(dental) Education group and supports and encourages continuing education for all associates and staff.